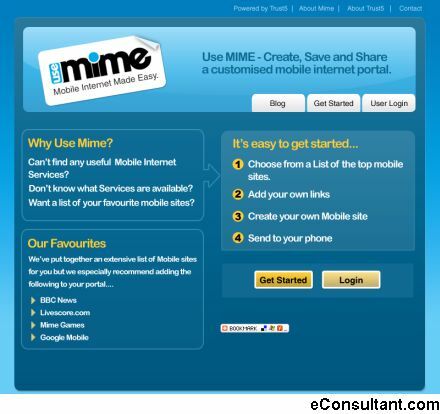 Description : MIME is an easy to use service that enables you to create and customise your own mobile internet portal. MIME tried to compile the best mobile sites and to categorise them so that it’s easy for you to find them. You can also add sites to your portal. What makes the service simple is that you can create your mobile internet portal on the web before sending a link to your phone.